In regards to the Met Office Warning area, the 3 High-Res models of NMM, AROME and EURO4 all show a similar area at risk. It's very rare I see the purple colours show up over the UK on EURO4 from my experience. Aye, but that nearly always happens; Met O's warning are more for guidance than for minute-by-minute accuracy...? Anyway, what makes you think that the warnings for Friday are wrong? Please don't get me wrong, as you may well be right. I saw CAPE charts for tomorrow and other charts like that, that someone posted and they showed nothing in that spot. They showed more central. If you partake and you make wild or unfounded statements expect people to bring you up on it - it’s called debate and it’s how these forums work! Someone else said Friday, I'm talking about tomorrow. Just because an area shows high CAPE, that doesn't necessarily show where thunderstorms will form. Deary me! I don't think you really understand what the warnings are for, do you? 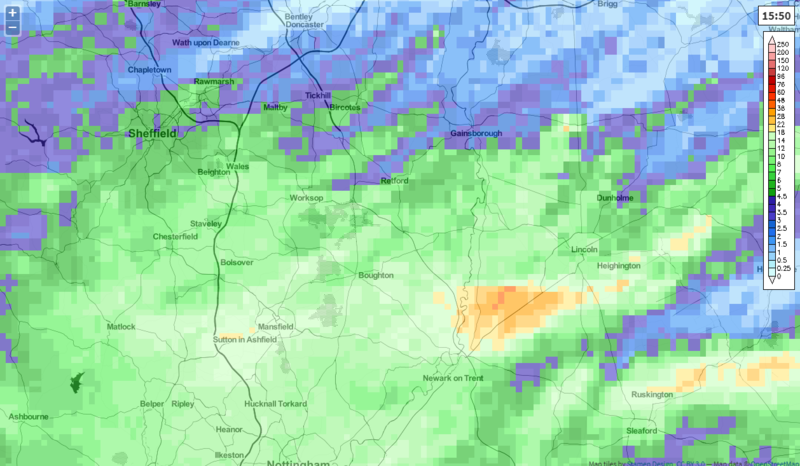 The warning area last night was really cover those who had already received 50+mm of rain that day, and to cover areas that had already seen large totals during the previous few days. The warnings were not 'thunderstorm' warnings, they were for rain. Your area wasn't forecast to see deluges, and as you can see, you didn't particularly get a deluge. The Met Office warnings were correct. You need to take a step back and think about what you are posting, it's not doing you any favours. 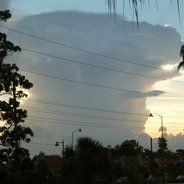 Re CAPE; it is not the be all and end all of thunderstorm development. You could have 3000 j/kg of CAPE and negative 10 lift, and you are still not guaranteed a thunderstorm. Wheres theres cape doesnt necessarily mean theres storms. 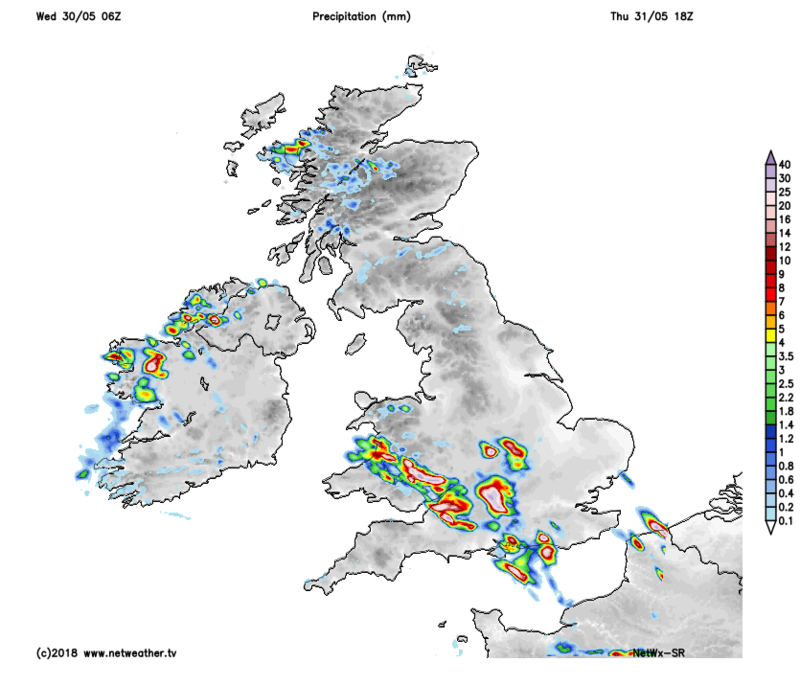 Looks like West is best tomorrow and more southern areas in terms of thunderstorm activity. And a storm is a small scale weather event ,very hit and miss or in my case always miss . I don't care what you have to say, you're just annoying. You need to take stock of what's going on here, people aren't posting to wind you up. Even the most avid and experienced weather enthusiasts get frustrated at times when thing don't turn out like they or the forecast expected. Reacting negatively to people with clearly a lot more knowledge/experience than yourself is not going to help you or help improve your understanding of the drivers behind our weather. Some of those rain totals are likely to be in areas that have already seen 50, 60 and 70mm of rain. What started out to be a dry month, some are looking at two months of rain in the space of a few days! While not great for those that have already been dumped on to the tune of 50-70MM and while flash flooding is a real threat again tomorrow one saving grace is that the high totals have been over a small geographical area so wider spread flooding issues have been averted. That's true, the warnings are always too south limiting out northern areas even though northern areas are at risk for the upcoming days. 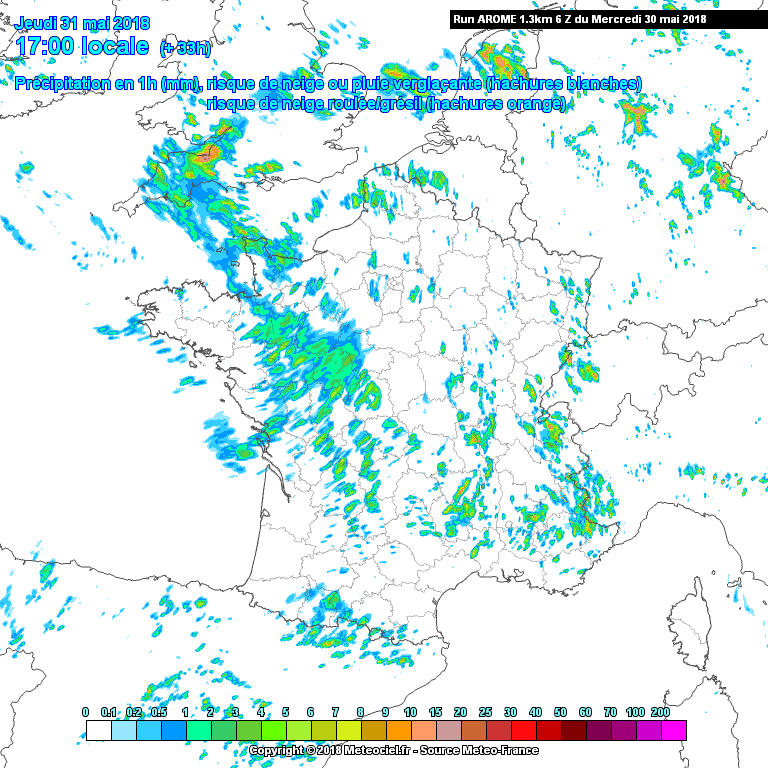 On Friday there is more rain in the radar for eastern parts however met office are focusing on the western parts. Weird. That is exactly what I'm saying. The charts I saw didn't show anything in most of those warning areas. I get the rain totals but not all those places have had loads of rain. Another thing to remember is that not all Thunderstorms will generate a warning, while a shower that generates a single lightning discharge is clearly a threat should that strike hit someone the type of showers you experienced where not severe enough or widespread enough to warrant a warning in your area. Why are you suggesting the west to receive more thunder potential ? I know but I'd extend the warning because of the rain if anything. Just the 5 minutes of heavy rain I got today caused flooding on the road at the front of my house.